Our practice was established with a commitment to providing Antioch, CA dental patients with the most outstanding services in dental care today. By adhering to the following core values, we are able to provide our patients with dental excellence. 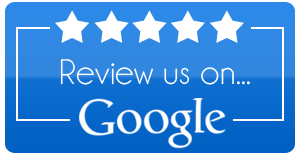 The doctors and staff of East Bay Dental are driven by exceptional results for each and every patient alike. Antioch dentists Dr. Lawrence Wu, Dr. Karam Abdou, Dr. Sepideh Khomjani, and Dr. Richard Marasco Jr. value the importance of your smile to how you look and feel. With a combination of education and experience, our 94531 dentists are able to deliver the highest quality dental care in Antioch, CA. Their attention to detail and unwavering focus enables them to achieve the results that patients are looking for from a dental care provider. We believe that patient education plays a vital role in our patient’s oral health care. This is why we carry out an open dialogue with our patients in order to educate them on what procedures we are performing and why. By keeping our patients educated regarding their oral health care, they will be able to make knowledgeable decisions about the options available to them. Dr. Lawrence Wu, Dr. Karam Abdou, Dr. Sepideh Khomjani, and Dr. Richard Marasco Jr. also strive for continual professional education by attending lectures and conferences as well as reading up on the latest research and technology in dentistry. Together, we can create a treatment plan that is right for our patient's individual needs. We promise to ensure that our patients are comfortable and satisfied with their dental appointment from the moment they walk through our doors. At our Antioch dental office, you’ll find comfortable accommodations and the most up to date dental technology and equipment. Our friendly staff will greet you upon your arrival and make you feel at ease throughout your entire visit.